I wrote about Sam Gordon the other week for Salon. Love. Her. Tough Mudder: The Deskilling of the Cross Country Runner? 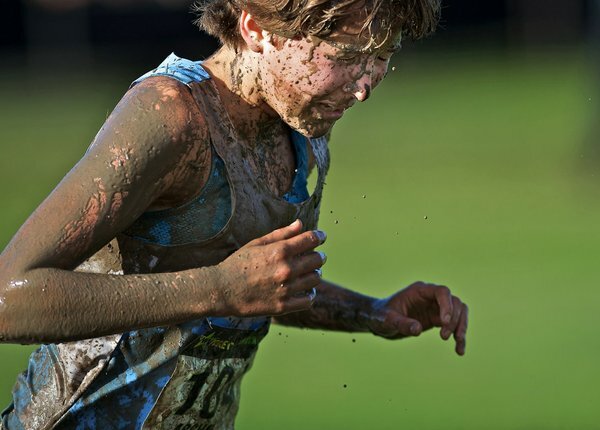 Painted in mud, the best high school cross-country runners stumbled across the line. The exhausted pack ran their worst times all season. The painfulness of this fact was thrown into stark relief by the boorish slogan suspended across the course finish: "Run hungry. Taste victory." 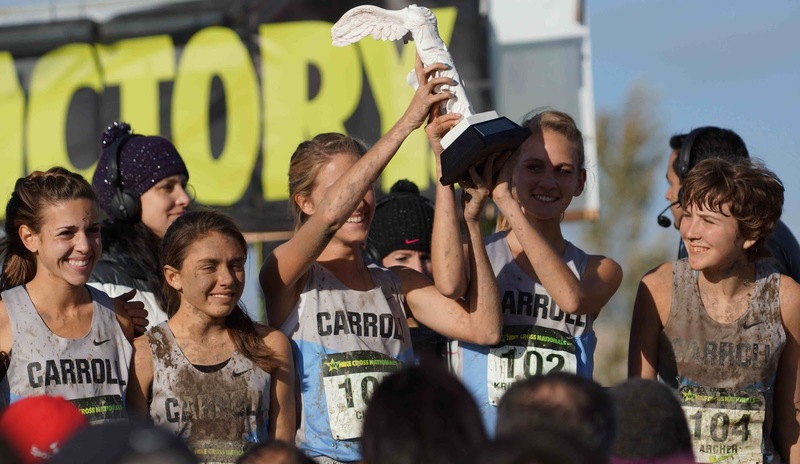 Nike Cross is the strangest of cross-country meets: the course is not run on one of the region's fabled cross-country trails. It is staged instead on the infield of a horse race track. The runners get moguls and slippery avenues of mud. The course is slow: long stretches of it are covered in puddles of water. Race officials joke about picking shoes out of the field from races run in past years. The course is optimal when it is frozen. This is the one race for which the runner prays for frost. Last year temperatures hovered at 30. The boys' race was won by Futsum Zeinasellaissie in 15:03. This year was balmy: the course was not just muddy, it was gross. Sam Warton slugged it out for a 17:06 win. Runners have to have tetanus shots to run this race. The air is lightly perfumed with manure. The race is, after all, run on horse pasture. At the state-level no high school team would dare host an event with a course like it. It'd be considered dangerous and weird. 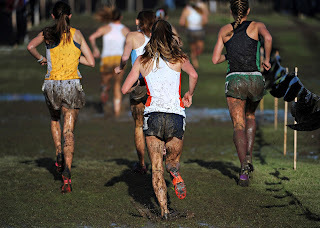 Teams do train in harsh weather and on wet ground (this is the signature of coach Bill Aris's training regime and his girls have won the race seven years in a row no doubt because of their experience with mud). 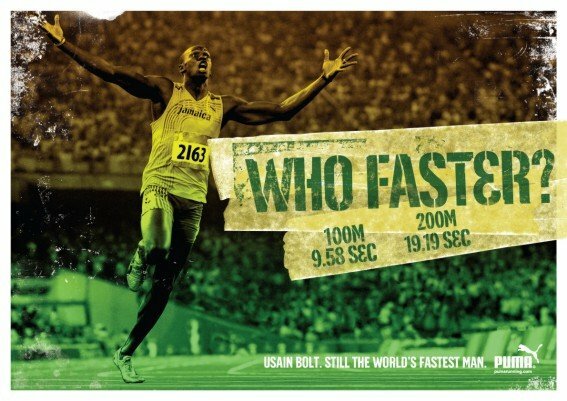 But the fastest runners want to run fast. Some courses are faster than others, but the idea is that a good race explores the limits of what is humanly possible on the day that course is run. The spirit of the cross-country trail is that it be a trail, not an obstacle course. At Nike Cross you see some runners cross the finish line painted in mud - not because it has been splashed on them, but because they've fallen into pools of it. Watching Nike's highlight reel, I was struck by how awful the pack looks. Frontrunners look tough, sure, but the rest of the field looks ruined. Of course there is something fun in the idea of making the best runners race against the worst conditions. But that is not how this race is presented to the teenagers running it. It is presented to them as the best team competition in the country. I got the distinct sense that even the winning athletes were disappointed. Asked about the course, one athlete after another responded: "We don't run in mud like this in Virginia/Texas/Colorado/New Mexico/Minnesota." They sounded puzzled. When asked if he had anything good to say about the course, one wiseass looked up at the sky and said, "It's sunny." 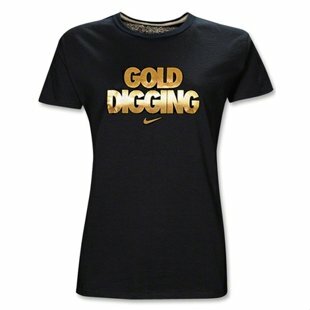 Nike's marketing folks assert that this mud is part of Oregon's "thing." But it isn't. When cross-country runners think of Oregon, they think of gorgeous trails along the coast, the Steve Prefountaine Memorial Running Trail. The University of Oregon (in Eugene) is one of the country's premier programs. Sure, a cross-country runner wants to "get her mud on," but even more, she wants her team to run well. From an elite runner's perspective, the logic of the event is a mystery. It is, in fact, something of a mystery when measured against Nike's claim on running, as a sport. It is ironic that the brand associated with the development of a lightweight shoe designed to reduce drag - to make your stride lighter - should sponsor a race in which the athlete's feet are sucked into mud. For much of the course, with each step the runner has to break the mud's suction. Imagine running with someone grasping onto your feet. That's what large parts of the course feel like. People seem to think that Nike stages the event this way so as to make cross-country "spectator friendly." The racetrack has covered stands, and it's easy to film the race on these grounds. But cross country spectators will choose to be by the trail - who wants to sit indoors at an outdoor event? The audience for the race was in the mud, with the runners. Nike stages this event this way not for people, but for cameras. Kids covered in mud make for fantastic photos. Or do they? Antigone Archer fell early in the race. She picked herself up - with mud in her mouth and her eyes she helped her team to its impressive second place finish. Team Carroll finished (a weird) 140 points behind Manlius. Manlius has won this event seven years in a row. Thank you Antigone for letting me use this photo by Zackary Kaufman. A little combing of the interweb turned up the above portrait in misery. And this is the expression I saw on much of the pack. A lot of runners looked upset - angry, frustrated, confused. Mud runs are a growing phenomenon - those courses are designed to make runners swim in mud, scale walls, crawl under barbed wire like G.I. Jane and Joe. They are fun. Crazy. But fun. That is not, however, what these athletes signed up for. Nike addressed them as elite runners all weekend. But did Nike stage an elite race? You learn a lot about yourself when you lose in good fashion. A good loss can be as inspiring as it is humbling. For many of these runners, this was their last race as a high school athlete. Some ended their high school career with the worst time they'd posted all season, in a race that felt pointless. Cross-country is a team sport. An individual might win the race, but a team can't win the race on an individual's performance. Nike's event is perhaps engineered to foreground that fact. This course is designed to handicap each individual runner as if they were horses. Second place finishers Carroll celebrate their victory. But cross-country is a curious team sport. A great team knows that its accomplishments are all the greater when that team allows each of its members to realize his or her potential to its fullest. 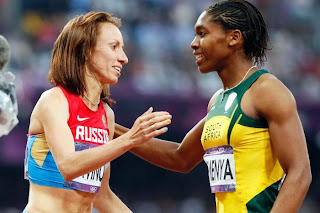 I've always thought that this was where you found the spirit of the sport - in this chemistry. The production of a national championship as a runner's version of Wipeout is a sporting version of what social theorists describe as "deskilling." A race is here turned into a spectacle, the talent and experience on the field is made secondary to the moving of merchandise - the question is not who won, how or why, but who was entertained and how much they - we - are willing to buy. Team GB is a legacy team. If within the men's game there is a romance to playing for the countries that "invented" football, the women who take the field at Wembley tomorrow honor a far more heroic past. For fifty years of women were banned from football pitches. Where at the end of WWI, people turned out in huge numbers (far exceeding attendance at women's league matches in England and the US) by the 1970s (when the game was decriminalized) it was a nearly universal object for derision. I just love the women of those generations and the legacy they've given us - a legacy of outspoken, pig-headed, delusional figures like Hope Powell - who fought her way through circumspect and hostile boys, proved herself amongst them, played for women's teams through years when doing so was seen as a ridiculous waste of time, then slugged it out with the FA. As she put it in an interview, "I will not be bullied." And she won't take anything less than that level of determination from her squad. My emotional attachment to this team is complicated. 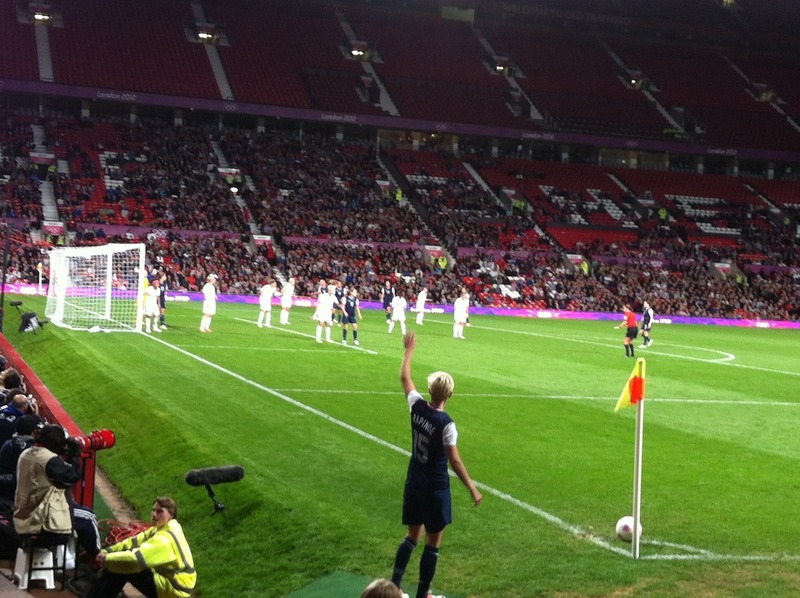 They have contributed some of the most exciting matches to the recent history of the women's game. It has been generally true that you can count on Brazil for entertaining football - technical skill, theatrics, gamesmanship, emotion and drama. 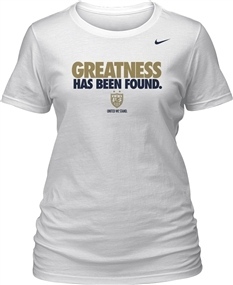 The women's team has everything the men's team is famous for. Except money and institutional backing. It was easy to root for them when they played Germany - when they were the underdog, the talented side proving themselves to an indifferent CBF (the organization managing the sport in Brazil). They have pleaded for help from the CBF for years. In 2007, while at the Women's World Cup, the team's players wrote and signed a letter of complaint to the federation. They complained that not only was the team under-supported, the CBF routinely failed to direct awards money to the team. There was no clarity regarding financial support for players, and no consistency in material support for the team's training. They thought things would improve when they won a silver medal at the 2004 Olympics. 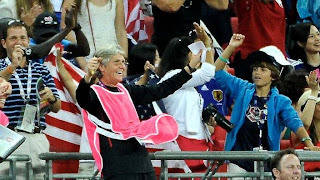 They gave the heavily favored USWNT a run for the money (Abby Wambach who put the game away in its waning minutes). Given their outstanding performance there, the Brazilian thought maybe things would get better for them. But their future success would only highlight the potential that was going to waste. Year after year. At the 2011 World Cup, the team went into competition wearing the uniform for the men's side. That's as big a symbolic statement as a federation can make - they do not order team kits specific to the women's side (and so their shirts had stars for all the World Cup trophies won by the men). The women complained publicly about these problems in 2007. Little has changed. Lost in reports regarding the profound corruption at the highest levels of Brazilian football is the impact of this lack of professionalism must have on the women's team. It's dire. 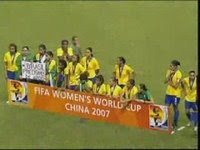 Brazil's women ask their federation for support, holding up a banner at the 2007 Women's World Cup award ceremony. Imagine you compete against the US and Germany, year after year you show that you have the ability to conquer teams with far better training. The team's semifinal win (4-1) against Germany in the 2008 Olympics remains one of my favorite viewing experiences. In that match they broke Germany's defense. Better teams (including the US) had tried and failed. It was a very physical game, but it was a game that also featured fantastic technical ability and a certain ruthlessness. Both teams tried to knock their opponent out of rhythm. Brazil played like a real team. Their first goal was a telepathic collaboration between three of the game's absolute best: Formiga, Marta and Cristiane. They never connected like that in the final, though. The USWNT took all the wind out of their sails, and took the trophy with one goal scored in extra-time. Imagine that over and over again you find yourself inches from a trophy. You have not just one of the best players in the world on your squad (Marta), but two (Cristiane) - and a host of others who are absolute all-stars (Formiga - playing in her fifth Olympics). But you never get to the winner's circle - after so many years, maybe you stop thinking that you can. Because the grim reality of it all soaks in: the world is full of talented players. You need more. Cut to last year's World Cup tournament. 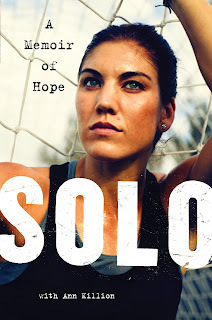 The team's performance in the game against the USWNT was heartbreaking. As much as I was rooting for the American women, I was rooting for a great performance from Brazil. 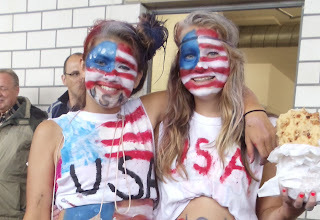 Yes, they almost knocked the US out of the tournament. They were so close. But they played angry. They didn't play with the kind of focused anger Wambach used to avenge herself against Colombia's Lady Andrade. Last year, Brazil played like they were angry at the world - like the USWNT had everything that they have been fighting for and have been denied. Like they were frustrated and like they were very tired of being frustrated. It looks to me like the battle with the CBF is breaking them. I guess they were just playing by the 'by any means necessary' playbook. Infamously, at about 115 minutes Erika plopped herself down on the field and just lay there, faking injury and eating up nearly four minutes of the game. After watching that, I wondered if I could ever want to see them win anything again, ever. In this tournament, Brazil has yet to be tested. Five unanswered goals against Cameroon isn't really a game. To score only one against New Zealand - late in the match, too - it doesn't bode well. Whatever the outcome, Team GB and Brazil are both heading to the quarterfinals. They are playing to avoid moving on to face the second place finisher in group F: right now, that's likely to be the reigning World Cup champions. If it's not, then it's formidable Sweden Canada. The winner of this match, however, will move on to face Canada or North Korea. That's where both will want to be.